Igor Mytryk likes to make customers smile. 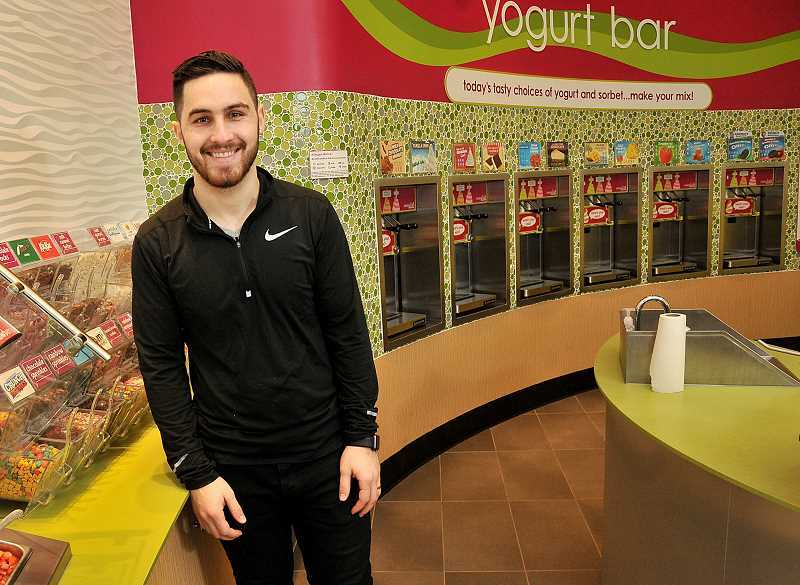 In fact, as the owner of the Lake Oswego franchise of Menchie's Frozen Yogurt in Kruse Village, Mytryk says it's his mission to make you smile — and to help make the Menchie's experience available to guests all over world as a legacy for generations to come. Sounds like a tall order, but it's one that Menchie's founders and Mytryk believe in wholeheartedly. Mytryk says the concept for the company blossomed from its founders' first date. Adam Cadwell took his future bride Danna to a frozen yogurt store, and Danna's sweet tooth took over from there. Together, their dream was to create a shop where people of all ages and from all walks of life could enjoy great-tasting, quality frozen yogurt in a fun and happy environment. Menchie, the company mascot, is an integral part of making that dream come true. 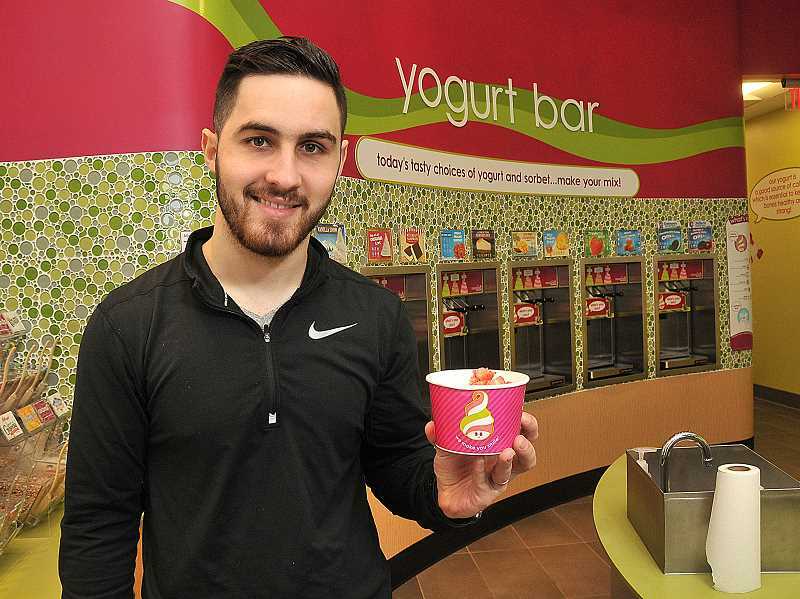 So is the company's 3-P principle: Menchie's values are embedded in its People, who provide friendly customer service; its Place, which offers a unique, warm and happy store design; and its innovative Products, which are of the highest quality and offer the greatest variety. The Kruse Village store is cheery and inviting, painted in bright pink, yellow and green. Menchie the mascot and his Sweet Friends can be found throughout the shop. The Sweet Friends, who represent the United Flavors of Yumm (UFY), travel the world in the pursuit of yumminess with one mission in mind, according to the company website: to spread the yumm with smiles. In the UFY, any mix is possible and all mixes are created equal. "We have 80 to 90 flavors over the year," Mytryk says. "Each month, we have 12 featured flavors, plus 35 toppings, 12 different fruits and four sauces you can choose from." Customer help themselves, dispensing frozen yogurt into bowls or cones and then paying 57 cents per ounce. Prepacked flavors are also available. Yogurt and sorbet flavors are available in low-fat and nonfat, dairy-free and gluten-free, and kosher. Mytryk says he's eager to get involved in the community and has ideas for fundraising events that are as easy as they are tasty. Menchie's is also the perfect place for birthday parties and other events. "We can even make a cake with a photo on it, printed on edible paper," Mytryk says. The Lake Oswego Menchie's store is located at 4811 Meadows Road, Suite 139, in Lake Oswego. It's open Sunday through Thursday from noon-10 p.m. and Friday and Saturday from noon-11 p.m.
For more information, visit https://tinyurl.com/ydykpkv9 or call 503-305-7214.